Fiona Higgins is senior manager, grantmaking and evaluation at Australian Philanthropic Services. Fiona Higgins, Wednesday, 12th September 2018 - Social change requires new blood and fresh perspectives on what has previously been tried, and younger givers could deliver a much-needed “new broom” to a family’s philanthropy, writes Fiona Higgins from Australian Philanthropic Services. 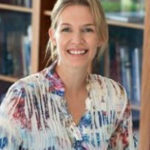 Fiona Higgins, Wednesday, 24th May 2017 - If we can acknowledge the quirks of philanthropy, rather than mourn an idealised notion of how it “should” behave, then we can get on with the business of pragmatic philanthropy, writes Fiona Higgins, senior manager, grantmaking and evaluation at Australian Philanthropic Services.